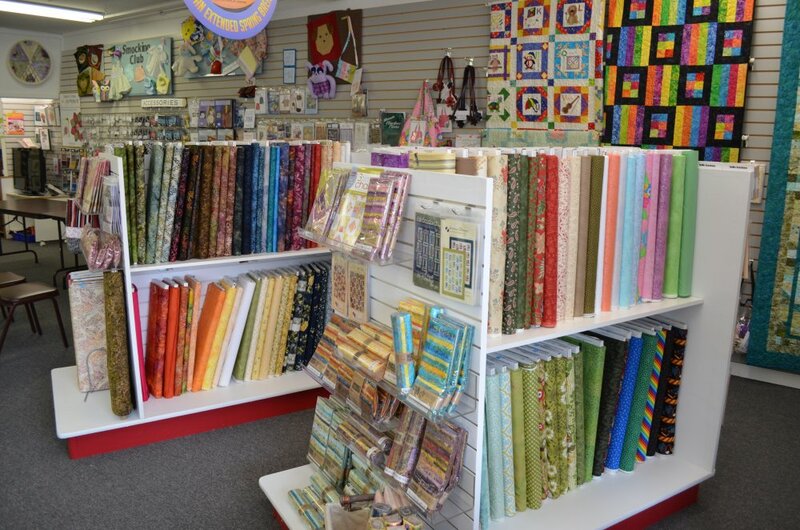 We have a nice selection of quilting fabrics, lots of them are batiks. We have a nice variety of quilt, tote bag, and embroidered quilt patterns plus more. We also have quilting rulers, rotary cutters, mats, and lots more! We have quilting rulers, rotary cutters, mats, and lots more!